Specification - Manufactured usinghigh quality steel 0.9mm (20swg) - 1.55mm (16swg). Each unit is assembled from pre-formed steel and welded together for extra rigidity and maintain its structural integrity under extreme conditions. Doors are reinforced with steel door stiffeners. Integral leakproof welded base sump. 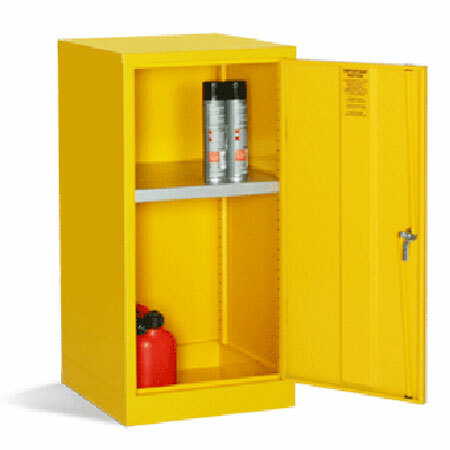 Supplied with galvanised adjustable shelves. Sloping tops and stands available. Powder coated paint finish. These products are not fire proof.